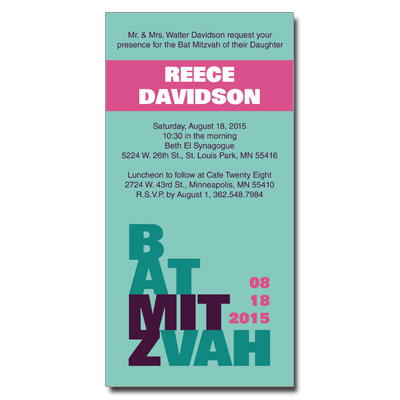 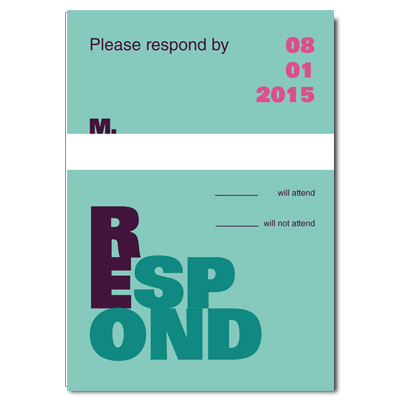 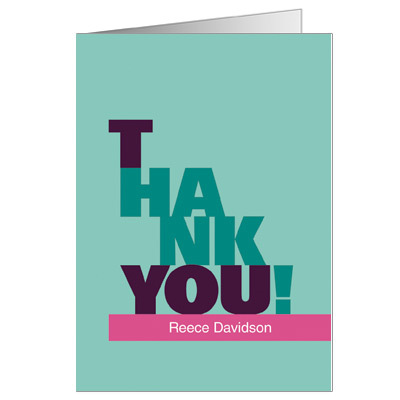 This Bat Mitzvah bookmark printed in teal, dark purple and pink is bold and fun, with stacked letters and strong type for a modern look. 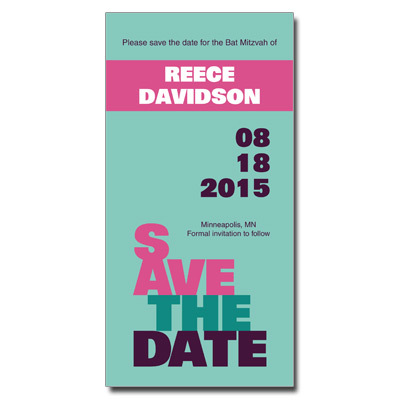 Personalize with your child's name and event date. 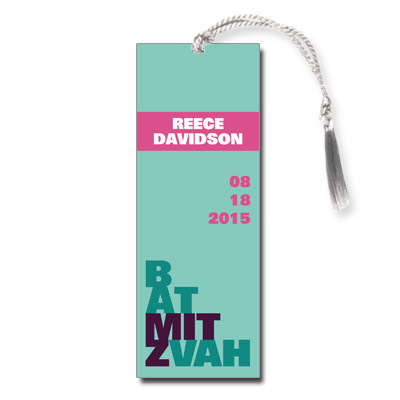 Bookmark measures 2x5.5 and comes with white tassels; light assembly required.